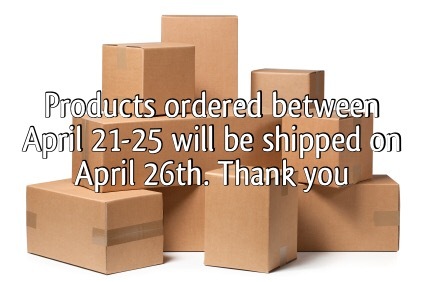 All orders placed between April 21-25 will be shipped on the 26th. Our team is working hard to make important upgrades to our infrastructure including our shipping & work studios due to our increase in production. We strive to consistently make improvements in order to serve you better. Thank you for your continued patronage, support and feedback. Continue to let us know how we can help..